Joey Barton will not be joining West Ham after the club pulled out of talks over a potential deal following protests from fans. Barton, released by QPR, had been expected to join on a free transfer. Some fans had criticised the move on social media, citing the 32-year-old's chequered history on and off the pitch. West Ham chairman David Gold tweeted to confirm there would be no deal, while Barton posted a video to say he had "no hard feelings" over the matter. "I'd just like to thank the West Ham fans who sent me a lot of kind messages on social media and especially on Twitter," Barton said in the video, which was posted with the tag "A message to the West Ham fans". "Obviously, with a character like myself there's one or two who are not so kind or complimentary, that's kind of par for the course with me these days. "I felt West Ham as a football club certainly would have been a good fit for me," he added. "Despite a few having reservations, I felt I could really have done well and really offer something to the squad. "It's exciting times for the West Ham fans. I just wanted to wish you all the best in the future and no hard feelings." Former Manchester City and Newcastle midfielder Barton has made more than 300 first-team appearances in his career and has one England cap. His disciplinary record, though, is poor and includes bans for violent conduct and fines and suspensions for altercations with fans. In 2007 he received a suspended jail sentence and was given a 12-match ban for a training ground altercation with team-mate Ousmane Dabo. West Ham chairman Gold has previously been critical of Barton. 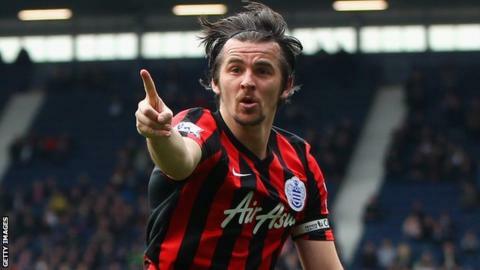 The 78-year-old said Barton "has a problem and should seek help" after the Liverpool-born player exchanged insults on social media with former Newcastle, Liverpool and Manchester City player Dietmar Hamann in January 2013. MOTD3: Who's our weekend star?